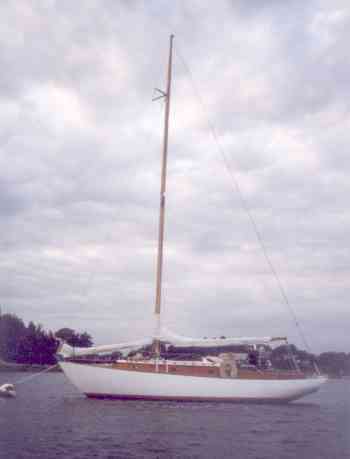 The photo is of Alestra, nee Venture IV, an Alberg designed 30 ft sloop that was built by Graves Yacht Yard in Marblehead, MA in 1960. She had a plate identifying her as hull No 762. 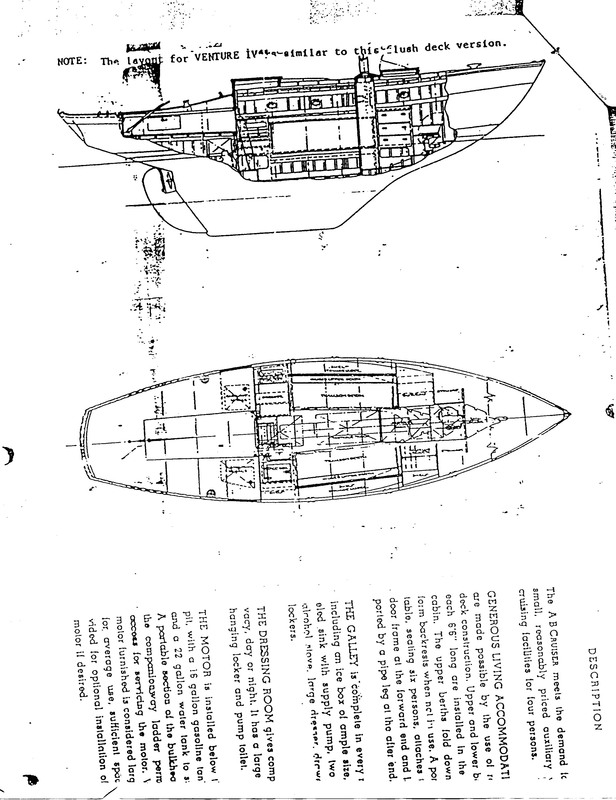 At the time I had acquired her, I had, the year before, sailed a glass Alberg 30 from Bermuda to San Juan, and there was an incredible "feel" of a like boat. My cockpit was 2' longer than the glass and the stove and icebox were reversed, but to me it felt like the same boat, perhaps just a family resemblance, as I seem to remember that the A-30 was a commissioned design.